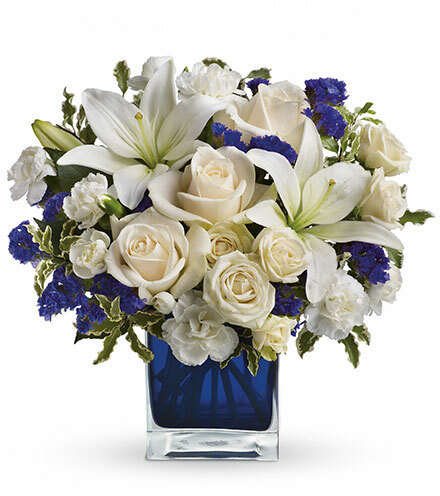 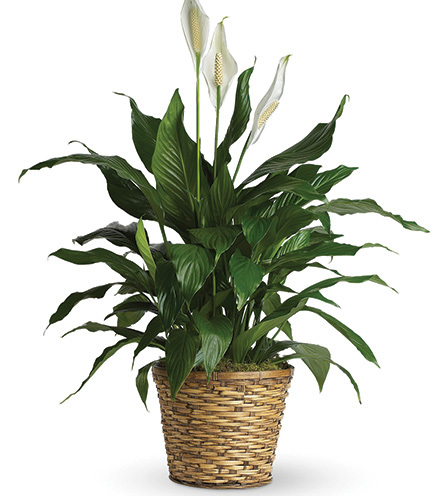 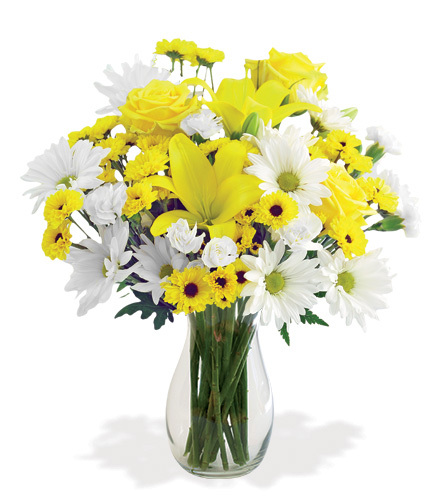 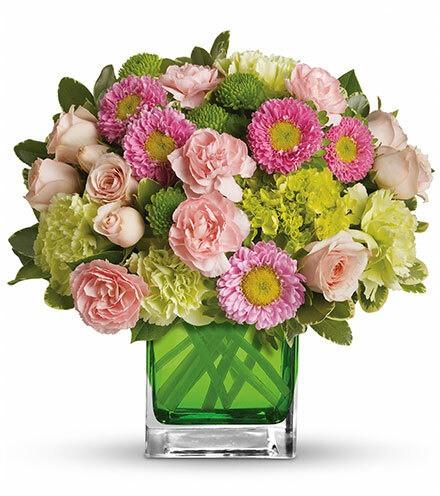 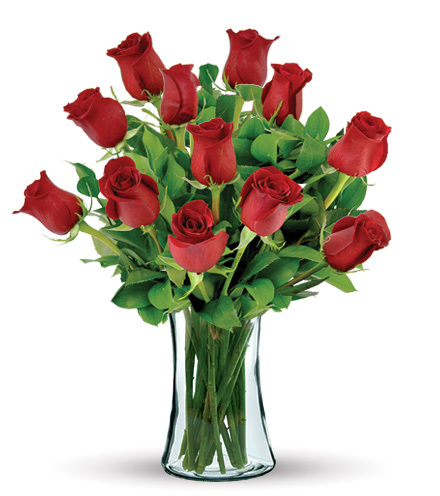 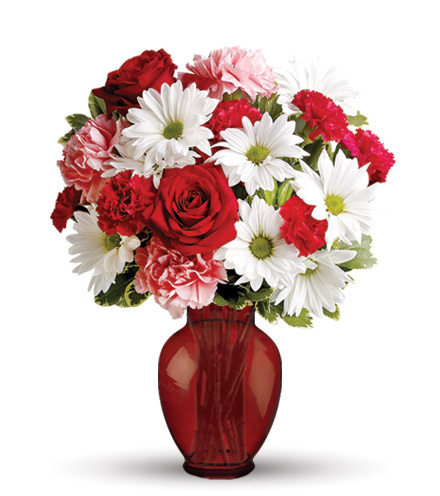 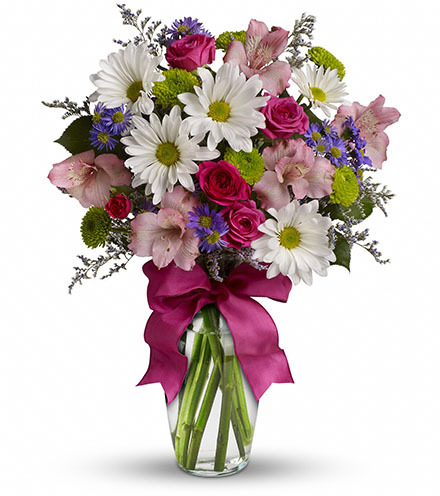 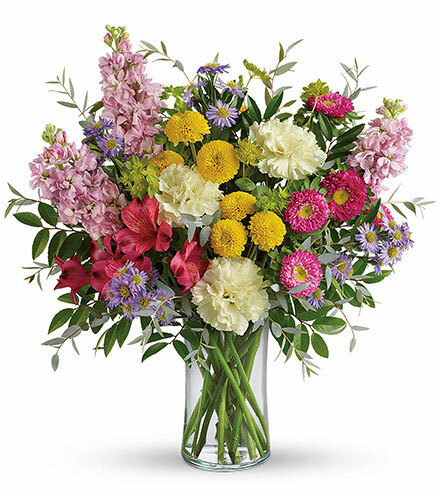 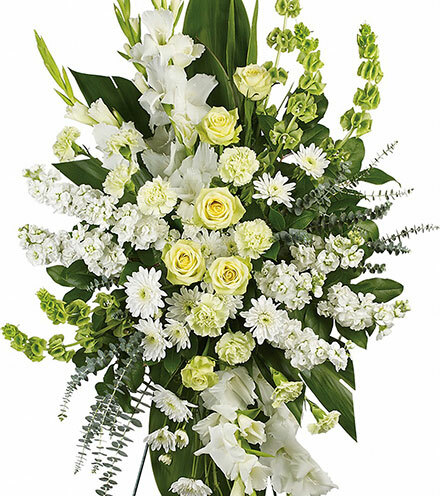 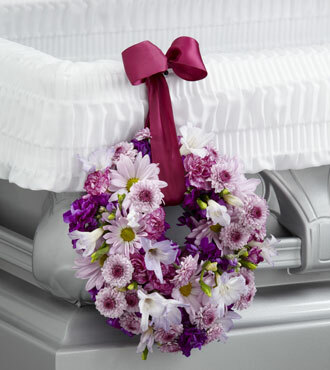 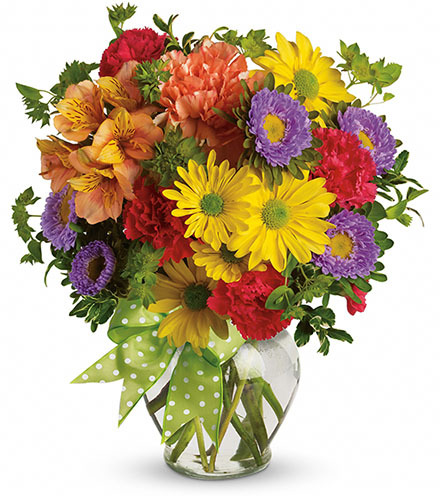 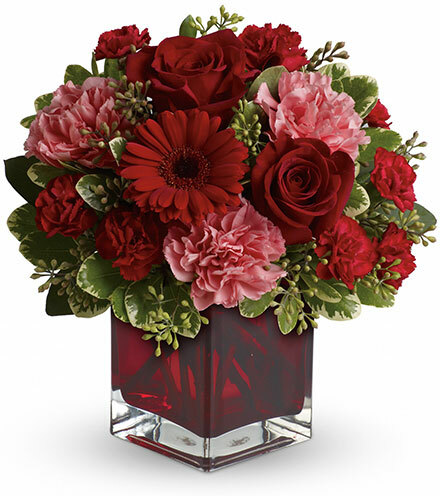 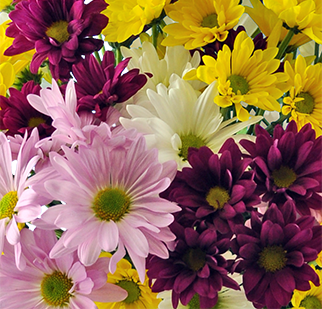 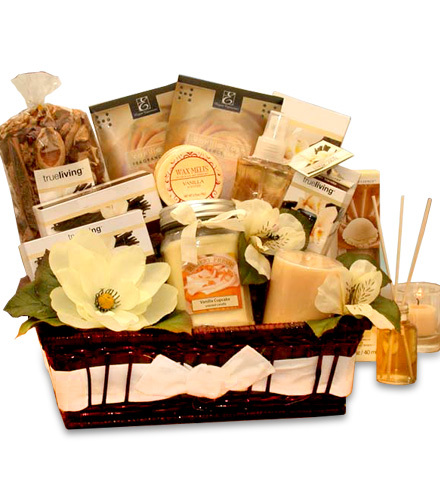 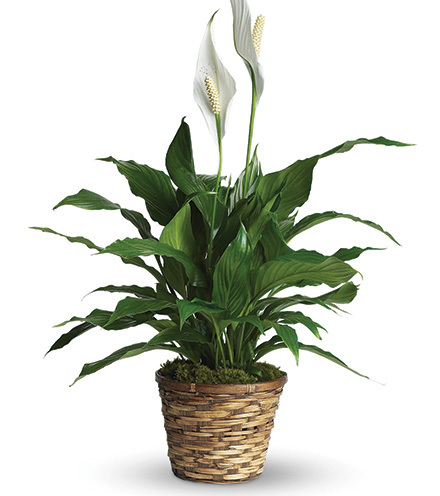 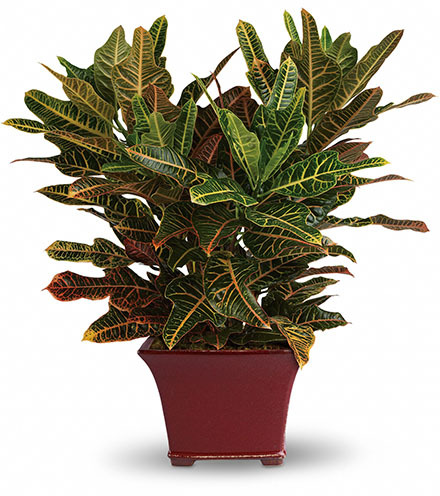 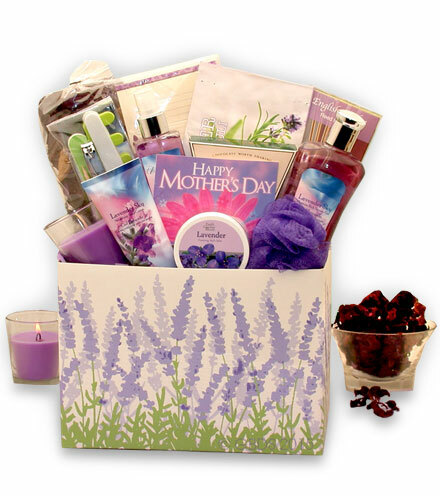 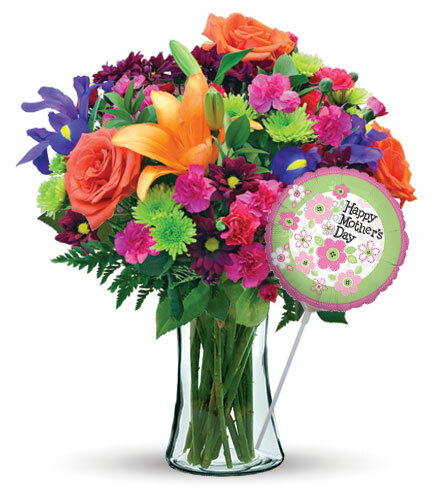 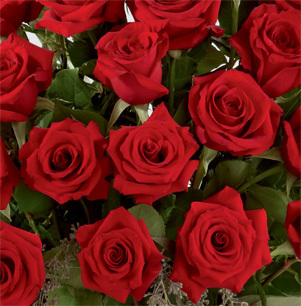 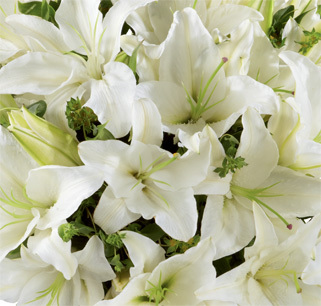 Recognize the life of the deceased with a lovely bouquet. 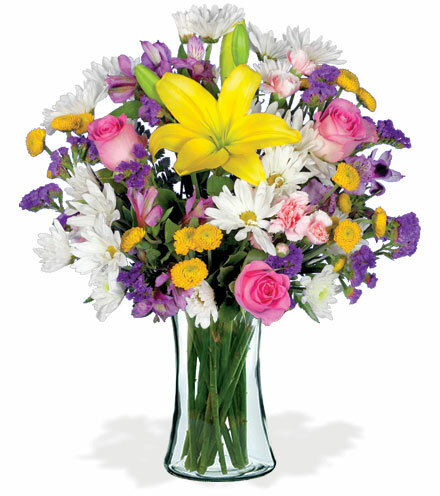 This fresh and simple flower arrangement is brimming with lavender carnations, freesia, daisies, and button poms. 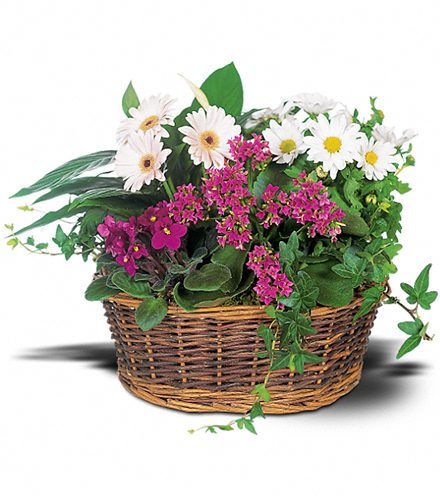 These beautiful flowers and greens are pulled together with magenta stock to crate a striking wreath that is easy to hang from an easel.